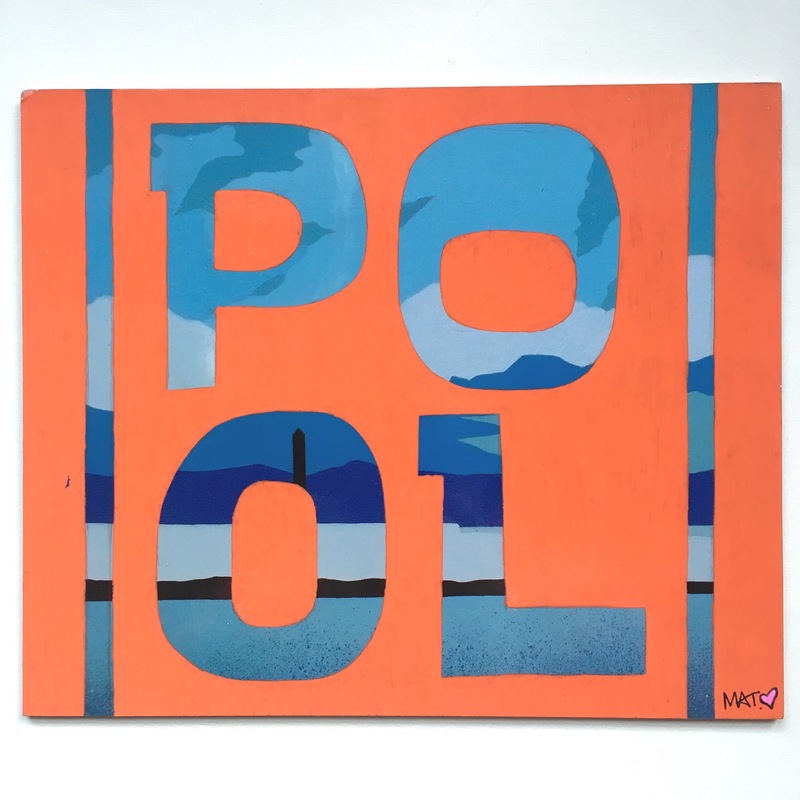 Jubilee Pool Charity Art Auction. I was asked to contriute a piece of art work for a Charity Art Auction, to help raise money for the storm battered Jubilee Pool. Myself and a load of other local artists all produced a piece of work on the same sized piece of board! Mine is Posca Pen on top of one of my prints of Jubilee Pool.